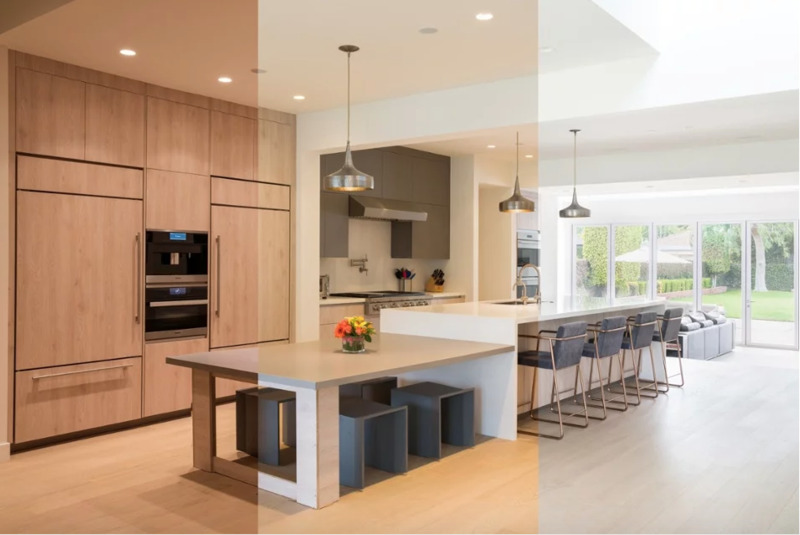 Maverick Integration is one of the first in New England to embrace a new frontier in residential lighting control: the advent of color temperate lighting calibrated to the time of day. Ketra lighting (later followed by USAI, Savant and LF Illumination) has redefined fixtures with automation that harnesses the color and temperature of natural light and brings it indoors. Gone are the days of the one size-fits-all incandescent light bulb you grew up with that has the same steady yellow glow whenever it’s switched on. Ketra’s system is configured to the homeowner’s zip code, longitude and latitude, so it knows when the sun rises and sets in a given locale, year-round. Residents “can’t tell where the sun or natural light stops and the electronic light begins” in their living spaces, continues Jaques. It is unintelligible, and, like the sun, changes so slowly, you don’t notice it. But you feel it.